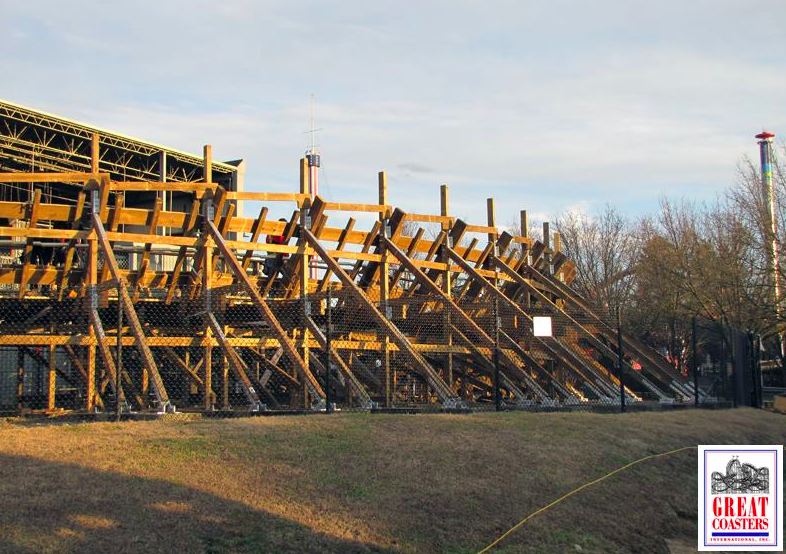 Great Coasters International Gives "Hurler" at Carowinds an Overhaul. Some GREAT news today for both Carowind's Fans and Coaster Lovers all over. 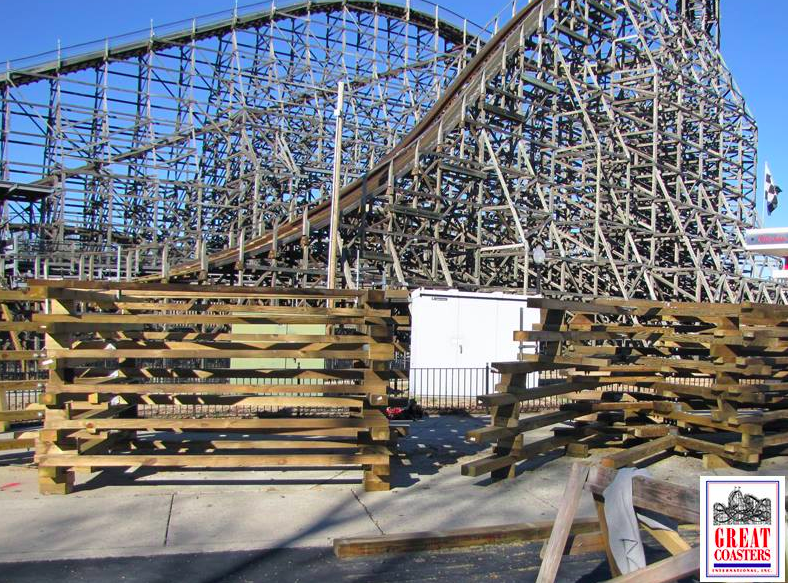 Great Coasters International has both confirmed and posted of photos of the wooden coaster "Hurler" located at Carowinds Park. The ride is getting repair work and it appears like a full track overhaul, which is much needed. This ride, while great, has been reported getting rougher each and every season. For more photo's of the repairs to the Hurler Roller Coaster, check out- Great Coasters International's Facebook Page!